Dr Johnny Skinz’s Disproportionately Rambunctious Polar Express Machine-Head. 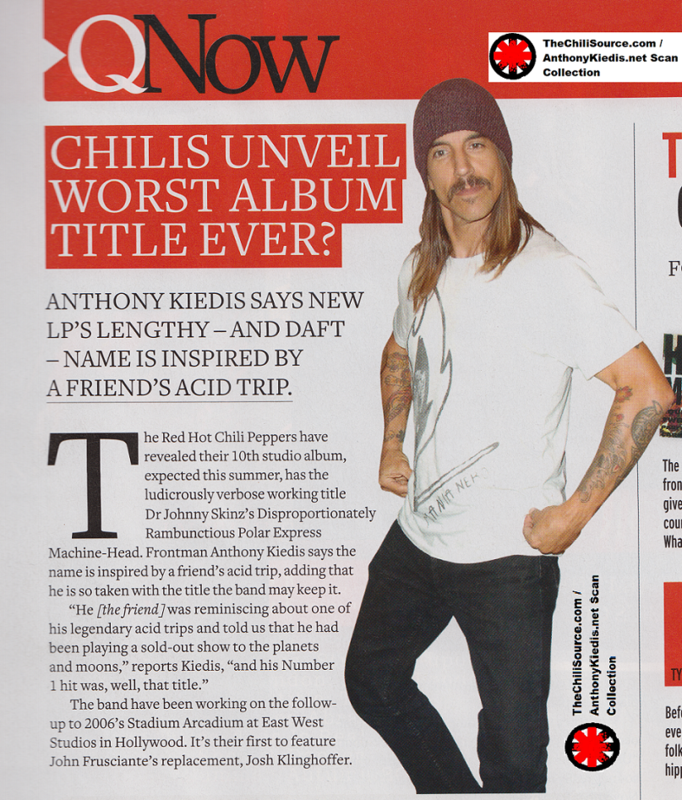 CHILIS UNVEIL WORST ALBUM TITLE EVER? ANTHONY KIEDIS SAYS NEW LP’S LENGTHY-AND DAFT NAME- IS INSPIRED BY A FRIEND’S ACID TRIP. The Red Hot Chili Peppers have revealed their 10th studio album, expected this summer, has the ludicrously verbose working title Dr Johnny Skinz’s Disproportionately Rambunctious Polar Express Machine-Head. Frontman Anthony Kiedis says the name is inspired by a friend’s acid trip, adding that he is so taken with the title the band may keep it. The band have been working on the follow-up to 2006’s Stadium Arcadium at East West Studios in Hollywood. It’s their feature John Frusciante’s replacement, Josh Klinghoffer.